CADEL EVANS ROAD RACE INTRODUCES NEW EVENT. 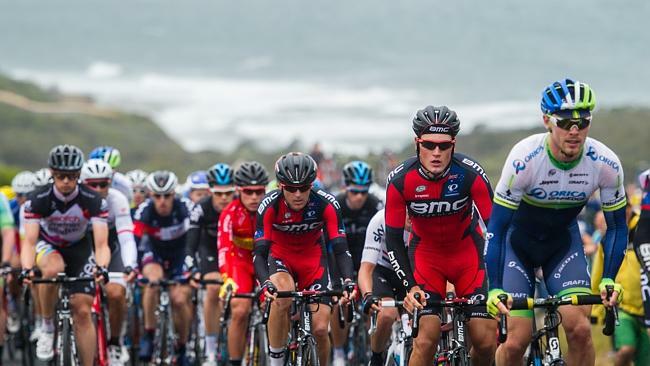 The Cadel Evans Great Ocean Road Race has enjoyed a good recognition since its inauguration in 2015. Following the success of the event last year, the organizers have started arranging for the 2017 edition of the race. They confirmed that 13 World Tour teams would feature in next year’s edition of the event. They also revealed that an Australia Day criterium in Albert will be added to the event to expand the race. Cadel Evans Great Ocean Road Race is one of the most recent World Tour events, and has invited 18 World Tour teams to the event in 2017. However, appearance is not compulsory. There will be at least 10 World Tour teams participating at the World Tour races including; AG2R La Mondiale, BMC Racing, Cannondale-Drapac, Trek-Segafredo, Team Sunweb, Team Dimension Data, Quick-Step Floors, Bora Hansgrohe, Katusha-Alpecin, Lotto Soudal, and LottoNL Jumbo. The defending champions, Team Sky have also confirmed making an appearance at the 2017 race. In a recent news it was announced that Leopard AG would pay Frank Schleck about two million as damage payment. The team separated ways with Frank in 2013 as per the Swiss news website. 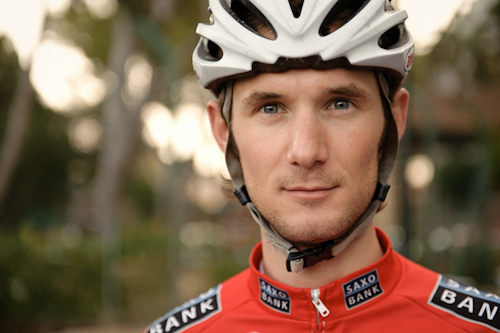 The payment will be made to Schleck and Winfrank GmBH which is his company. CAS’s decision was held up by the Swiss court in this matter. Chris Froome, the Team Sky leader, is thinking of racing Vuelta a España for a 3rd back to back year this season, after the Tour de France as well as the Olympic Games, said Nico Portal, the team’s sports director. Speaking to a leading cycling news website, Portal said that he is thinking it again. This is not a pre-season objective but this is a race he likes a lot. This is like Volta a Catalunya: he prefers to do it, the level is quite high, and in Vuelta a España the weather’s always very good. That all suits him. This time, the primary interest for Sky is Froome’s form as he brings to Tour de France, and as per the Portal as he looks to July he is going quite well and they were very happy with his condition at this point of time. Geraint Thomas has accepted it would be a huge bonus if he won Tour of Flanders on Saturday, having spent almost no time at all educating on the cobbles in the build-up up to Belgian classic, 1 the 5 memorials of cycling season. But the man from Welsh, who is concentrating on stage racing instead of the classics this year, suggested that he was healthy and fit and it might actually suit him better to fly under the radar this time around. Twenty-nine year old was one of the huge pre-race favorites at Flanders twelve months ago having only prevailed at E3 Harelbeke and ending 3rd at the Ghent-Wevelgem. With Sir Bradley Wiggins utilizing the race to get set for his swansong at the Paris-Roubaix the next weekend, there was a grand amount of hype walling Sky, but they finished up doing a whole lot of work at the front of the race and Geraint ran out of mates and legs in the end, ending fourteenth. Martin Kohler (Swiss professional cyclist) ends seven years of association with BMC Racing Team in order to join the Australian Drapac Cycling Team for the next cycling season. In 2011, Kohler had won the Swiss National Time Trial Championships and in 2012 he had won the Swiss National Road Race Championships. Kohler said that he always wanted to win races. When he was a part of the U23 and juniors teams he used to win. Ever since he was with BMC Racing Team, he devoted himself to support the star riders and he could not work on himself. But after joining Drapac it seems to him that he has got a chance to fulfill his dream of winning races.